Opened in 2012, the hostel offers rooms with two, four, six or eight beds, free towels, free air conditioning and free clean and fresh sheets, blankets and pillows. Guests can enjoy the hostel's fully equipped kitchen, a lounge area with TV and an outdoor terrace. There's also 24hr reception. The Puzzle Hostel Bucharest offer free all-day coffee and tea, free lockers and luggage storage, a free washing machine, free Wi-Fi and even free maps of Bucharest. Bucharest Tips team has reviewd Puzzle Hostel - Hostels in Bucharest. 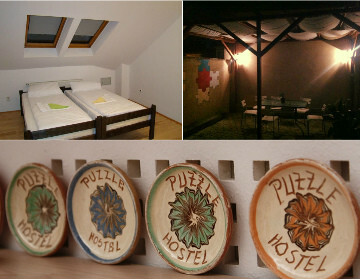 You can get here description, reviews, address, map, phone, website of Puzzle Hostel in Bucharest. Visit Buchareset Tips for more Hostels in Bucharest!